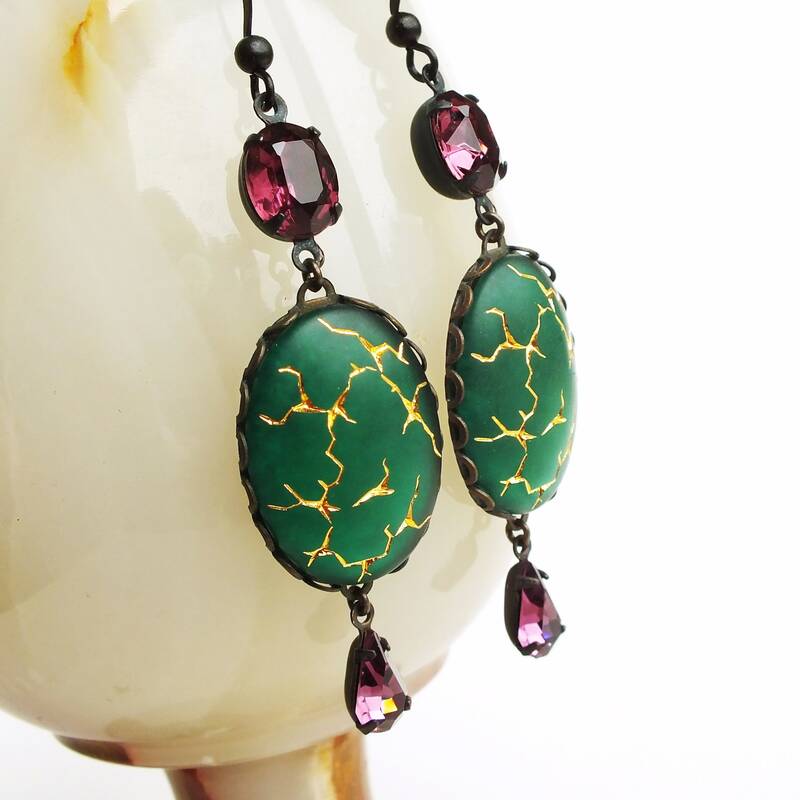 Large handmade emerald green dangle earrings with vintage matte crackle glass cabochons. 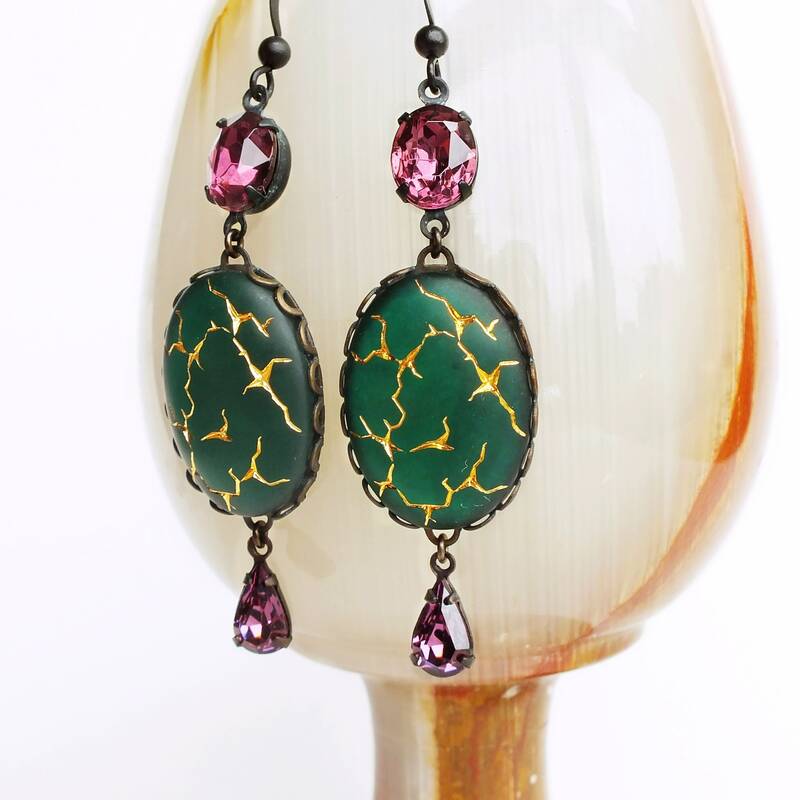 Genuine vintage cabochons and crystals. 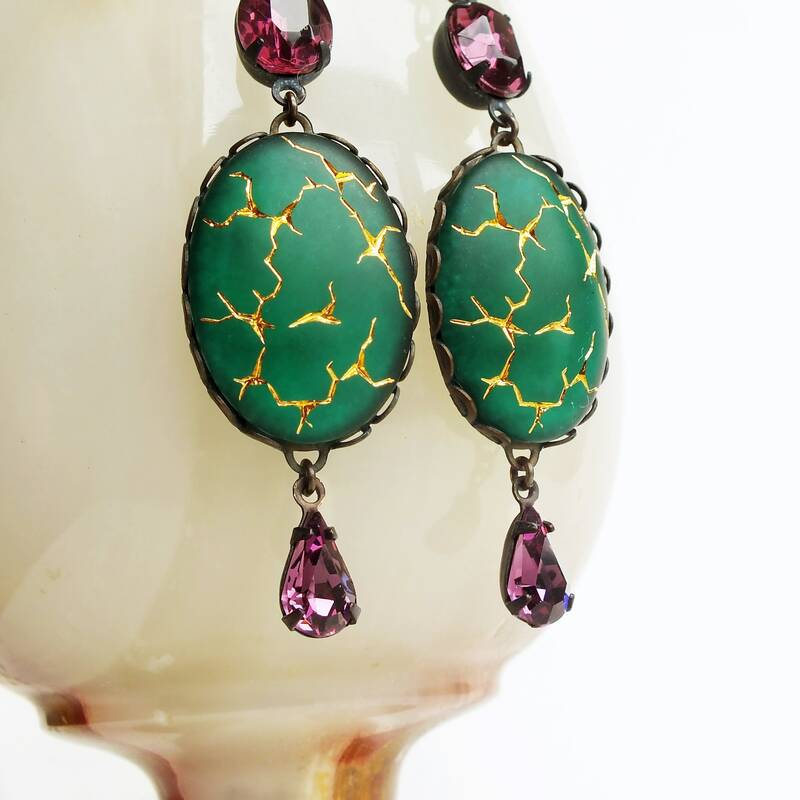 Green statement earrings made with *amazing* vintage emerald frosted glass stones with an etched gold crackle pattern. 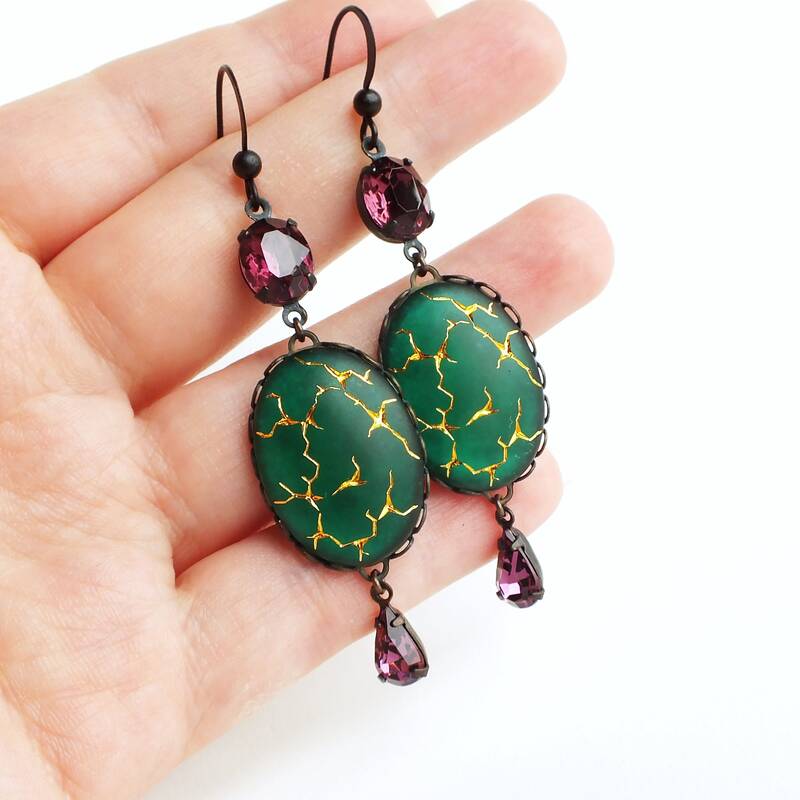 I reverse painted them with iridescent micro-glitter for added complexity. 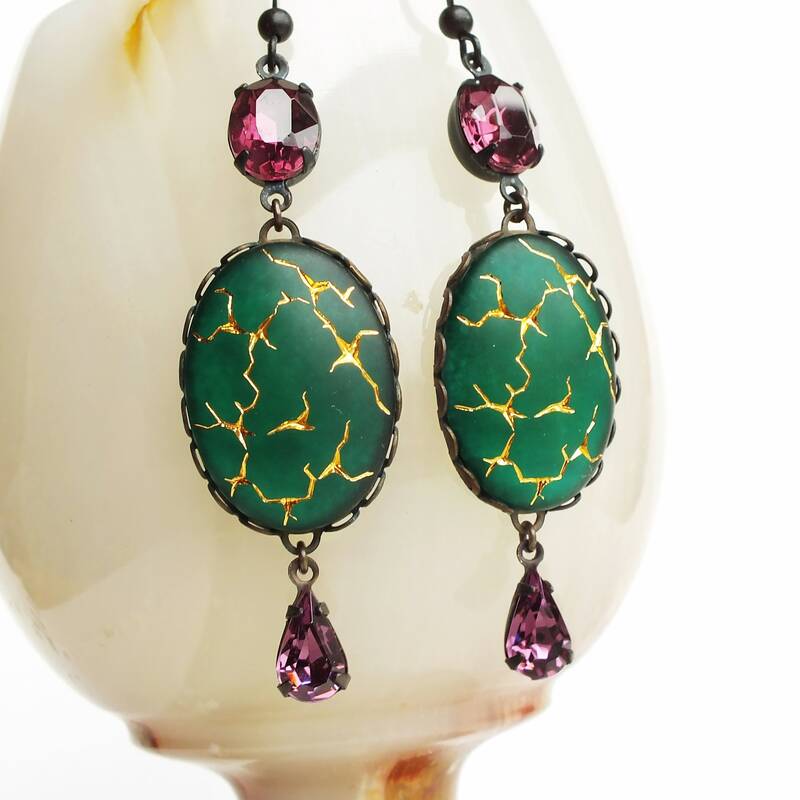 Adorned with vintage amethyst purple glass rhinestones.